Music video for Majk Spirit by Jiri Marshal, Vit Haratek and myself. Recorded and scanned with Kinect v2. I was responsible for depth data. 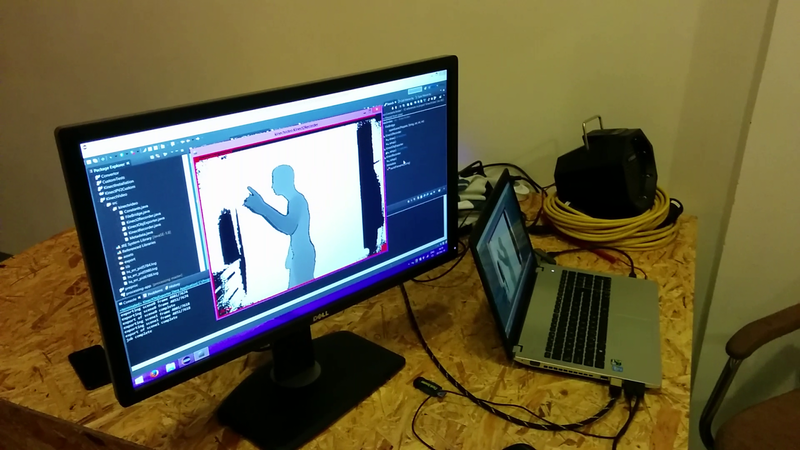 We were recording with Kinect v2 and custom software based on Processing. Data were exported as meshes into Wavefront obj files and imported into Cinema 4D for rendering. We also used some 3D models scanned with 3D Builder. Jakub Valtar. Contact me: info@jakubvaltar.com. Powered by Blogger.